Matthews Corner, a Chris Krupa classic. 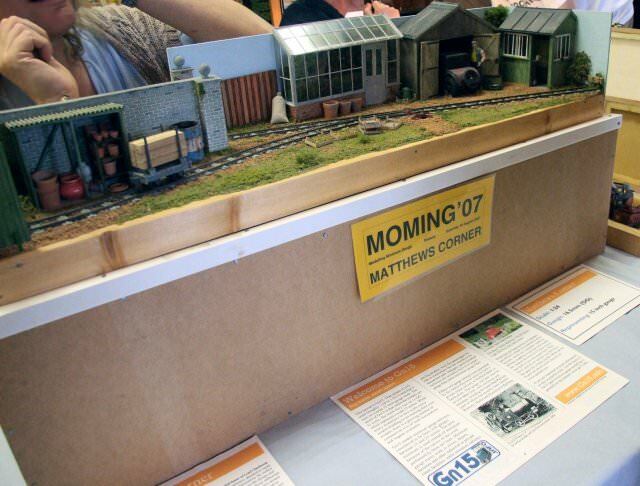 johna wrote: I remember seeing the layout in Railway Modeller and think I did start to build a similar one. In fact , the baseboard is still around somewhere so all this chat has made me want to start building it again. I must contact Peco to find out if it is still possible to buy the August 2007 of RM. One for sale on eBay John. Si wrote: Thanks, everyone, for the info regarding operation of relatively simple layouts. 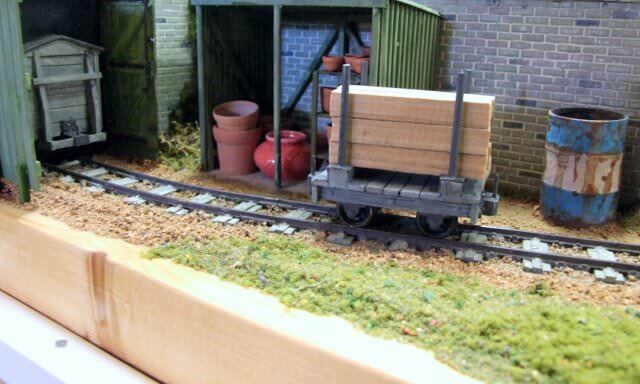 You've convinced me....you see I've an old base board under the bed that is virtually that size and shape, event the stepped back scene is the same, plus I have enough off cuts of track to build something very similar....although I might throw and extra turnout in. I don't know whether to hide my head in embarrassment or do a footballer and run around the exhibition hall with my T shirt over my head in celebration. Thanks everybody for your comments and to Gerry for putting Matthews Corner on the site. 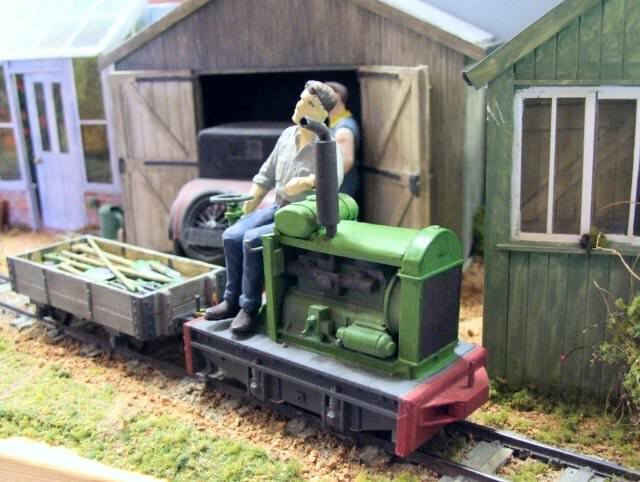 If anyone wants to see MC in the flesh, it will be at York next Easter together with a GN15 layout (his first) from my friend Des Trollip of Zebedeila Estate fame. I have no other invitations. 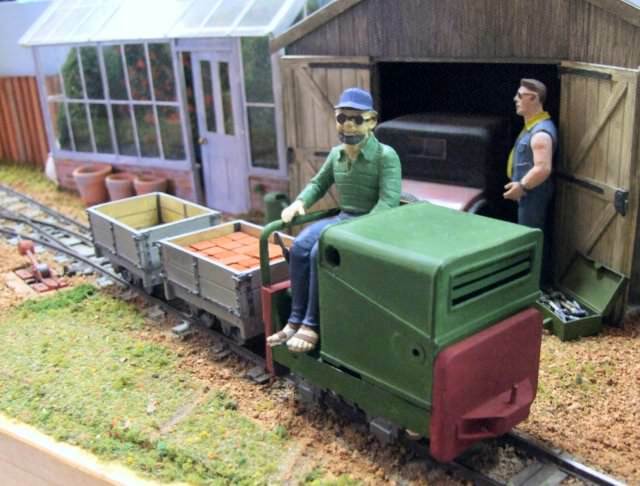 Now to answer a couple of the questions: I always have in my mind that my layouts are not there to entertain children or those that simply want to see trains run (preferably round and round at high speed). Most shows have plenty of those kinds of exhibits and I am not in competition with them. Yes Matthews Corner works and it is reasonably interesting to operate. 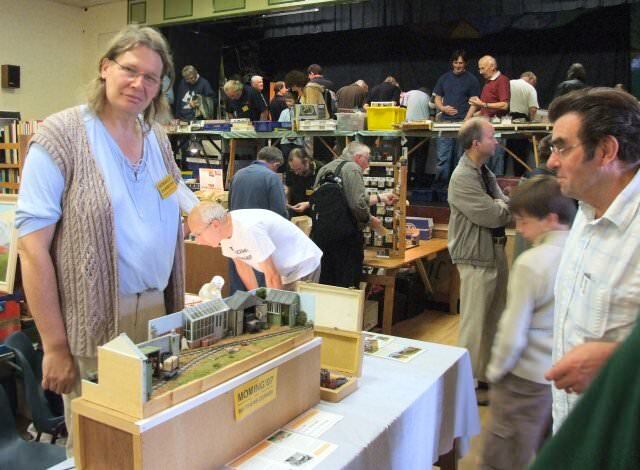 However, I do like to engage the public and talk about the layout, the meaning of narrow/minimum gauge etc. I hope that I have interesting methods and ideas to talk about. I am sure that anyone not interested in talking to me will soon leave. 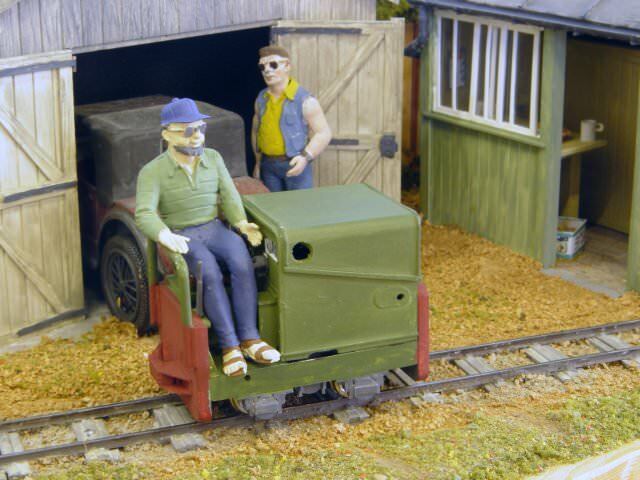 It isn't therefore necessary for my layouts to be capable of rapt attention from the operator. Someone asked about the greenhouse. 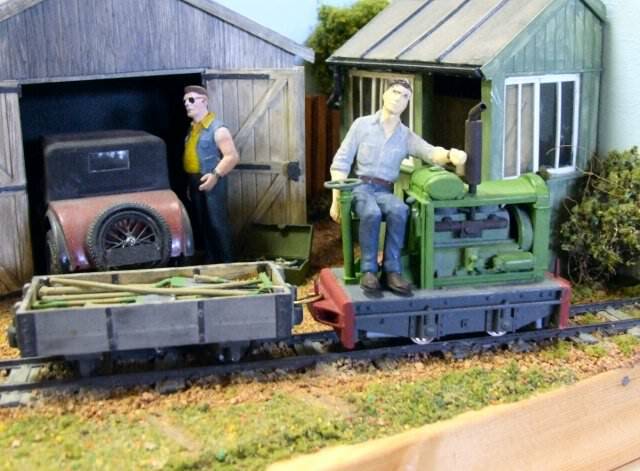 It is scratch built from plastic of various varieties. The lower walls are 60thou overlaid with brick effect plastic from Maple Street Miniatures. The door is also plastic. The 'glass' is 40 thou clear PVC bought from some model shop or other. It is easily available. 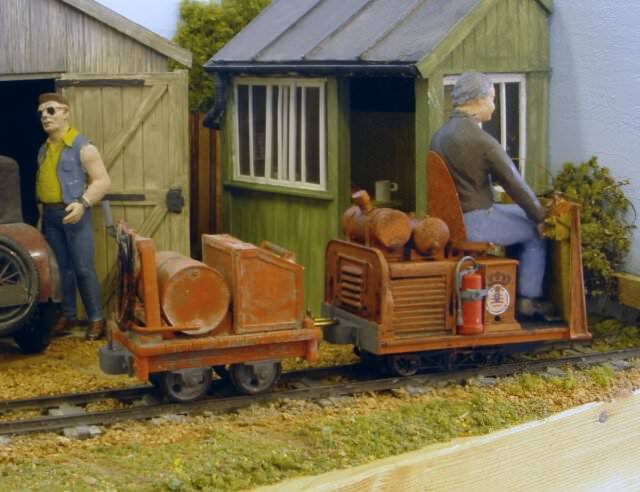 Its main virtue is that it isn't affected by any of the solvents commonly used in model making so you don't get smears accidental or otherwise. The drawback is that you can't glue it. I haven't even had success with super glue but maybe I haven't hit the right make. When I use clear PVC therefore I ensure that it is trapped in position during construction. In the MC greenhouse the glazing bars aren't glued to the 'glass'. The construction is so designed that it clips over the 'glass' although it was assembled in situ. In a way you could say that the polystyrene parts of the model are an integral piece which holds the glazing in position. I hope that is clear. 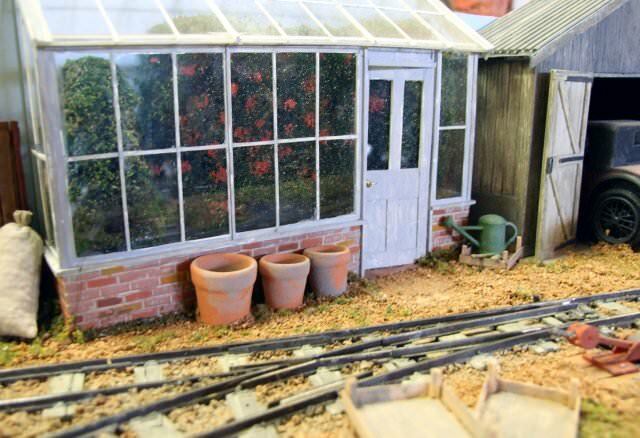 The interior plants in the building are Woodland Scenics of various kinds particularly arranged so that you don't notice that the greenhouse is only an inch or so deep. Thanks again to everybody for their comments. By the way. I still don't have internet at home. It's a long story and one which is unlikely to be resolved anytime soon. I can though, get very occasional views, perhaps once a week. I can keep an eye on Gnatterbox (although I should be doing something else) so I can't keep up a regular correspondence. If you can get to York do drop by and I'll expand on anything I've said here if anyone wants more information. chris krupa wrote: I don't know whether to hide my head in embarrassment or do a footballer and run around the exhibition hall with my T shirt over my head in celebration. It's good to have you back on board Chris, even if your internet opportunities are limited. Great to have your reply Chris and Glad to have been proved wrong! 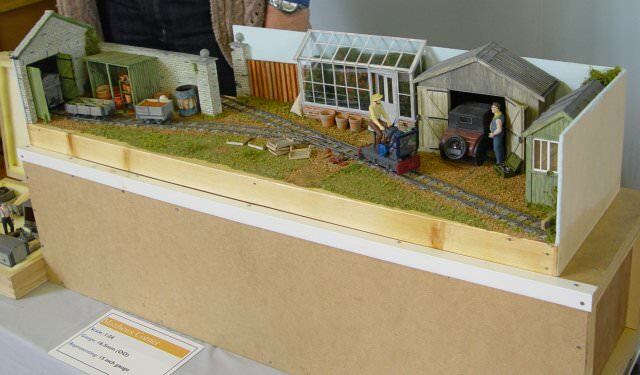 I built Bramble Farm back in 2006, so any layout built since is just coincidence with the track plan. 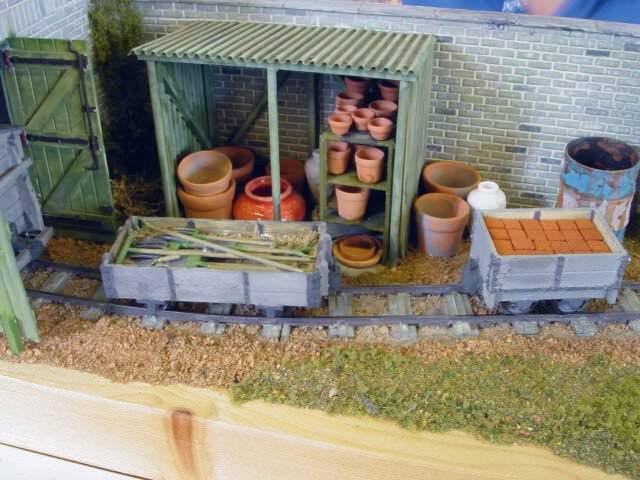 I sold the layout to Gerry, who turned it into Gneiss Farm. . Thanks Richard, however you did the majority. Hi Richard - I hope that you didn't think that I was inferring that you'd copied - not my intention at all. 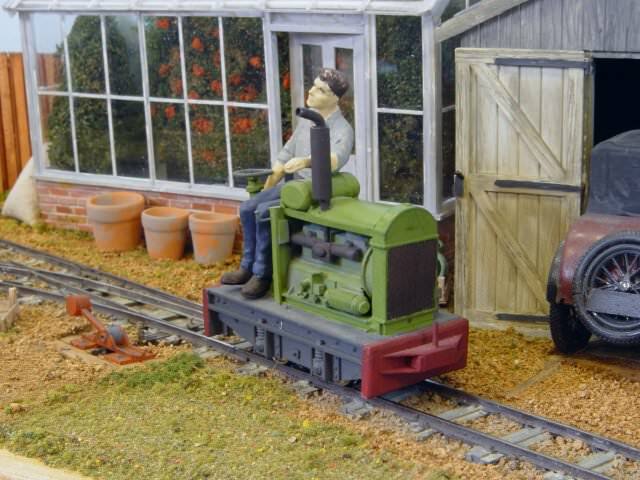 Interests: Narrow Gauge Railways,Folk and Blues etc. This layout is most definitely a classic. It's also given me an idea. 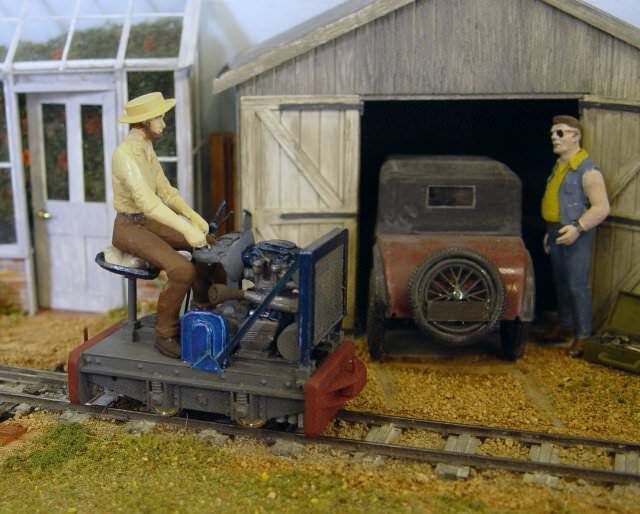 I Gnow work mostly in 16 mm scale and, as usual, track is the problem. Code 200 Forth Bridge off cuts don't cut it for me, so I'm going to try Chris's idea with Code 124 track. Here goes. By the way, been reading the Railway Muddler Aug. 2007 article and it's still a good read. Thanks Chris. Gerry, time I got around to looking for it the time was up. I am still waiting for Peco to get back to me about buying a copy from them. I did find another web site selling selling one but they wanted £7.00 postage. On fleabay, or PM me your address and I'll photocopy article and send it to you. Edited: I had posted 4 of Mick’s photos here. I’ve now removed them. There are these and more below. Last edited by PeterH on Fri Nov 24, 2017 6:42 pm, edited 1 time in total. Stockers of this forum has contacted me and informed me that the 2 sets of photos of Matthews Corner that I published on here on 01 September 2013, with a total of 15 images of Matthews Corner taken at NG South West Feb 2007 and Pewsey September 2007 have now been blocked by the Photobucket farago and asked me if I would be able to re-post them. PM sent to you Stockers on this one! I'm now pleased to be able to report that I have located the original images in my archives and I will re-post all 15 of the originals here once more, in response to Chris's request. I've put them on here in no specific order and as a mix of both the original 2013 sets. 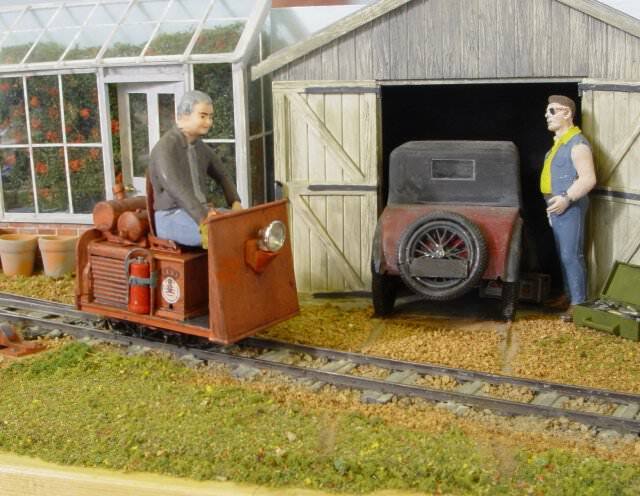 The guy talking to Chris in the first photo (Pewsey) is well known Colonial 009 modeller Ian Turner. 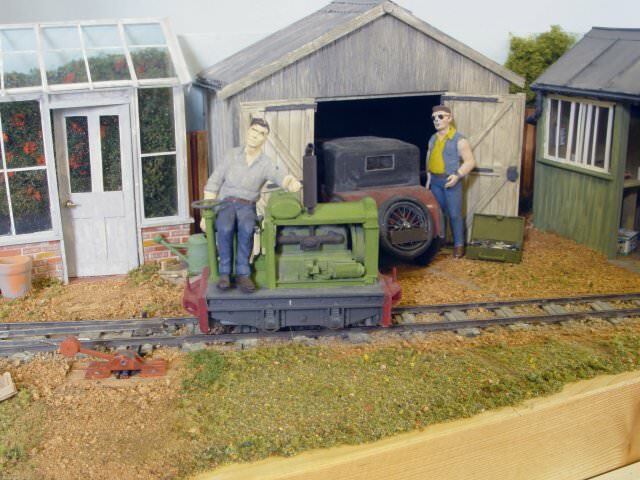 NG Modelling enthusiasts will also no doubt recognise many of the other people who can be seen in this image. Last edited by MickT on Sat Nov 25, 2017 10:26 am, edited 1 time in total. Thanks for posting all those photos. Yes, I acknowledge that I reposted your photos in violation of your copyright, and I apologise. I have removed the photos. I have reposted photos in other threads when it was clear who had posted the original photos, and I gave credit to that person; in my mind I was quoting the photos and I thought that didn’t violate any copyright. In this case it was different. Thank you Peter, I have also removed the paragraph in my posting regarding copyright to balance things up. I did not suspect "wrong doing" here, just thought it necessary to make a general posting reminder about image ownership on here as sometimes others take advantage. I hope that peace and harmony can continue undamaged and as the younger ones have a habit of saying nowadays "no worries"
Just to clarify - I don't have any problems with anyone posting a photo I have published online or a link to it, when it is done on forums such as this one for the mutual benefit of the members, but appreciate if original acknowledgement of the image's provenance (ie whose photo it is!) is given - this then provides some assurance of the original source should someone else come along and decide to "copy the copy" for further use elsewhere either to pass it off as their own image (this has been done before and someone even had the nerve to claim that I was hijacking their own photo!!) or for the original accreditation to be lost. Yes, no worries, and on with the modelling.